Brasserie Blanc is the home of simple, hearty French cuisine. 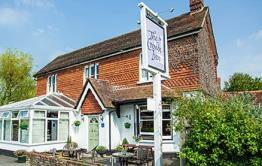 The menu is inspired by the flavours of acclaimed Chef Raymond Blanc's childhood and is guided by the seasons. The aim is simple: to make you feel good by offering lovingly prepared food, a warm welcome and a friendly team who are there to make sure your visit to a Brasserie Blanc is a pleasure. Sheltering in the gaze of the London eye and its surrounding cultural cornucopia of theatre, art music and film, the restaurant is cradled in the elbow of Waterloo Bridge, opposite the Royal Festival Hall. 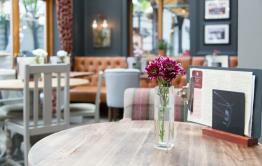 There is extensive seating and and can cater for parties and groups of all sizes. 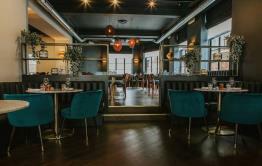 in addition, there is a private dining room if you want your own space and a large bar for pre-dinner drinks. Non-diners are welcome too. There is a great little terrace at the front where you can enjoy a chilled glass of your favourite wine and watch the world go by. Alongside the extensive a la carte menu there is a two-course pre-theatre menu created by Raymond Blanc, ideal if you are visiting one of the shows nearby. There is also a daily-changing 'Chef's Special'. 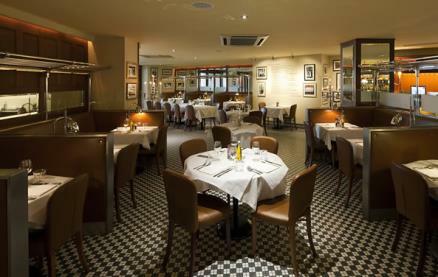 Be the first to write a review and share your experience at Brasserie Blanc (Southbank) with other diners.